Classic1943 Hal Foster story of Prince Arn's development into a worthy son of Prince Valiant. This is the 1980 Collectors Press reissue in magazine format with color covers and reproduction from the 1943 original. Great text story and fantastic illustrations by Hal Foster. 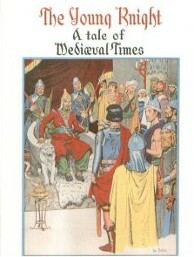 This book was used as the template for the Hastings House Prince Valiant books in the 1950's with text and illustrations telling the story. Covers plus 28 pages.